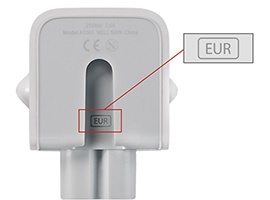 The recall affects many wall plug adaptors sold with Apple Macs, iPhones, iPads, iPods and as part of a World Travel Adaptor Kit, between 2003-2014. The recall is a "precaution" after 12 incidents of electric shock caused when the wall plug adaptor became broken. Apple is providing a replacement new redesigned charger free-of-charge. Is my Wall Plug Adaptor Affected ? To check if your wall plug adaptor is affected you need to uncouple if from the power brick that the wall plug adaptor joins with. Compare your wall plug adaptor to the pictures below. 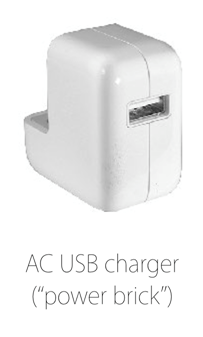 An affected wall plug adaptor has 4 or 5 characters or NO characters on the inside slot where it attaches to the power brick. Newly designed power bricks have a 3-letter regional code. 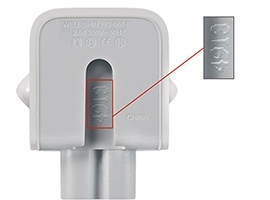 If your power brick shows the 4-5 characters/No characters it means your wall plug adaptor will have the flat angled blades and will need to be replaced. 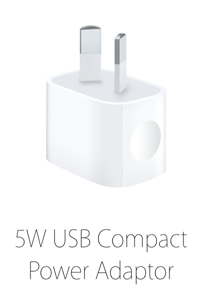 The iPhone 5S and iPhone 5C have been sold in Australia with the newly designed wall plug adaptor (see below) and are NOT AFFECTED. Apple and Telstra are working on a process for bulk exchange by Enterprise Business. VoicePlus will update this page as more information comes to hand.